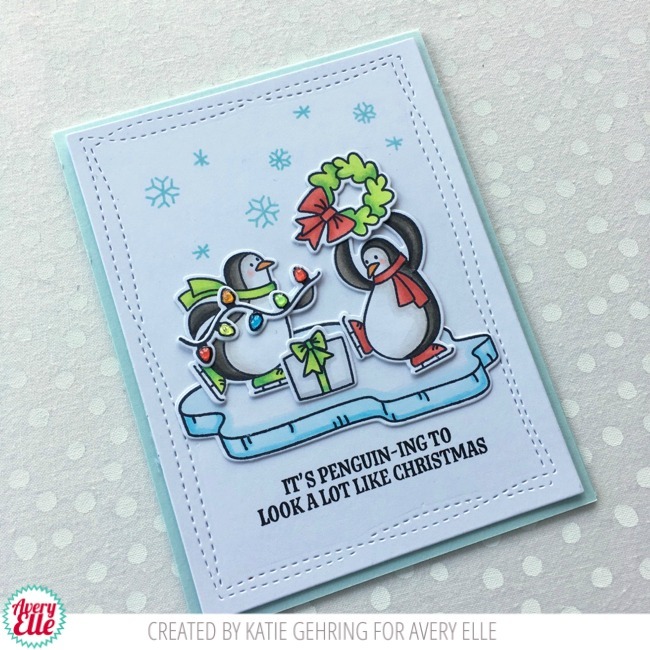 Katie here today to some inspiration featuring the Brrring On The Joy stamp set. 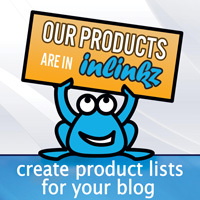 Below you can find a list of all the Avery Elle supplies that I used on my card. 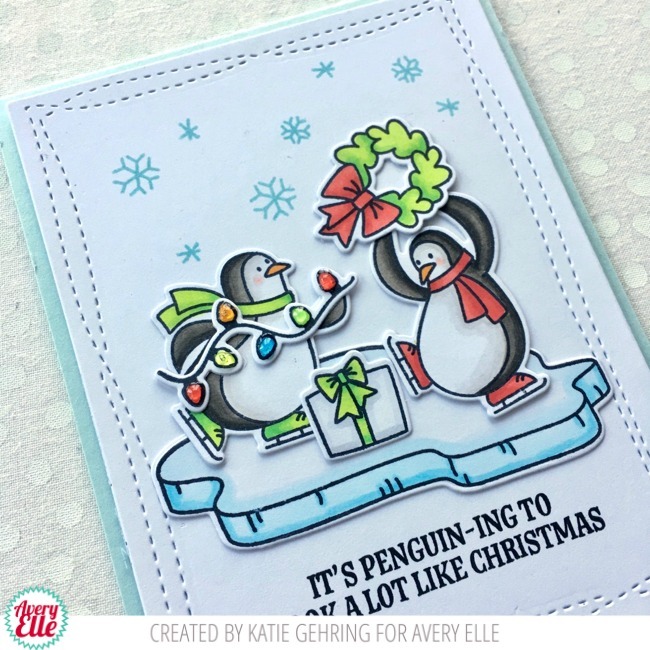 I stamped the penguins, wreath, lights, gift and ice drift onto white card stock with Avery Elle's New Moon dye ink and colored in the images with Copic markers. I die cut all the images using the coordinating Brrring on the Joy Elle-ments dies. 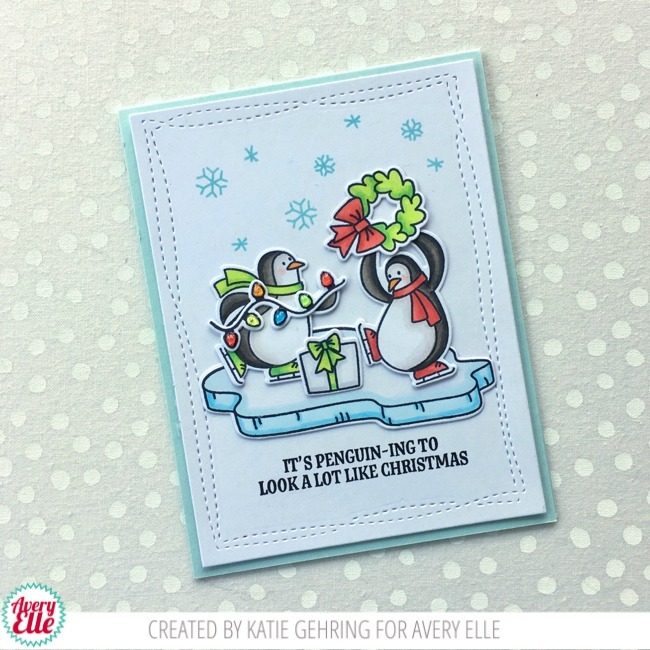 I adhered the images to a panel cut with the Wonky Stitches Elle-ments die and stamped the snowflakes from the stamp set with a light aqua ink. Below the images, I stamped the sentiment in black ink. I love a good pun and this one just makes me laugh! As a finishing touch, I added a drop of Glossy Accents to each of the bulbs in the holiday light strand. The bulbs look so shiny and bright! 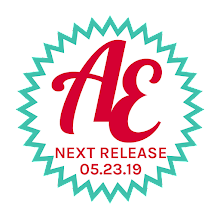 Be sure to watch the Avery Elle blog this week for even more inspiration and ideas featuring Brring on the Joy! Its a joyful card !